You don't want to replicate your old career in this new path you're supposed to love. 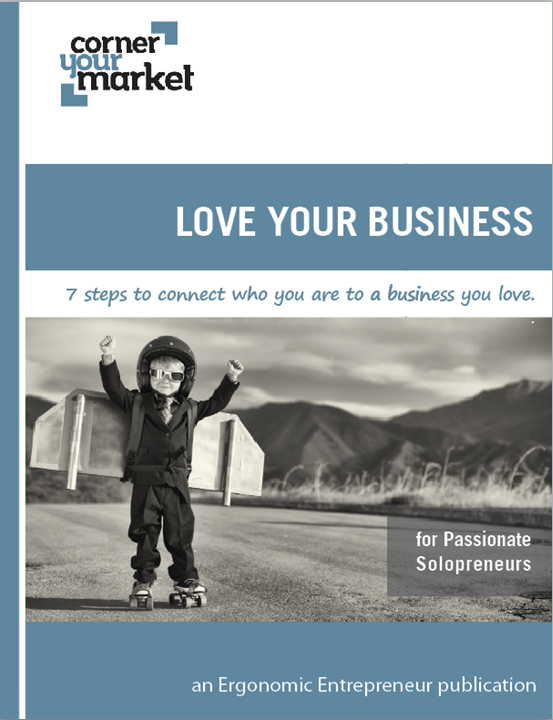 Most of all - you want to learn how build a business you love - in a way that feels fun, easy & authentic for who you are - but you can't do that until you figure out the lay of the entrepreneur land & connect all those marketing & business dots. Our monthly Love What You Do Again Newsletter with articles, videos, eBooks, personal stories and exercises not found anywhere else. Hi - I'm Nicole Croizier! Soul's Calling Coach, Life Coach Instructor, Marketing Expert, Personality Junkie, Need to Love What I Do. I'm an Endorsed Soul's Calling Coach, Certified Equus Coach & Martha Beck Life Coach Business Instructor. I'm also a Master Certified Marketing Consultant with more than 20 years of strategic marketing & business design experience. Most importantly, I've been right where you are right now. I left a squishy (but soul-sucking) corporate career to launch my own business - first as a marketing consultant - and now as a coach and teacher. And I would love to help you bypass the months, years (ok decades) of pain & frustration I went through on my own journey to find my right path & purpose. I would love to help you clear away all the cobwebs so you can finally see yourself clearly. Finally embrace all those amazing bits that make up your unique genius. And finally start moving in your right direction with super-practical support all aligned around who you are - so you can do what you love - in a way you love. Get the Free eBook & Newsletter Now! As both a Master Certified Duct Tape Marketing Consultant & Life Coach, I help new life coaches & passionate solopreneurs design, market & run businesses they love - businesses that are completely aligned with who they are & how they naturally work best. Are you a new life coach transitioning from a career & building a business for the first time? Do you want to design a business you love & love what you do every day? Then grab our free eBook and sign up for our newsletter. You'll get the resources you need on the first steps & basics you need to build & grow a business you love.